Overcoming adversity and simply getting by is one thing, but to do so while accelerating toward one’s goals is something else entirely. 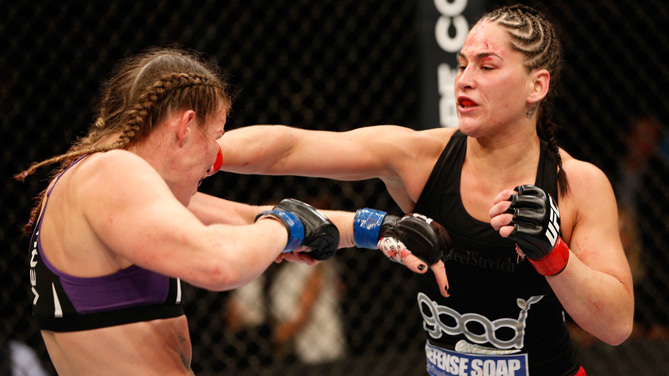 Jessica Eye is no stranger to what it feels like to be on the rougher side of life, but just as she always has, and certainly is now, “Evil” is fighting through and looking for something more.While the end result the Cleveland representative is in search of these days is far greater than what was previously sought, those elements serve as measured progress for the Team StrongStyle fighter. And her next battle is a great example of just how far Eye has come and is looking to go. The 28-year-old Ohio native will face perennial title contender Miesha Tate in the co-main event at UFC on FOX: Dillashaw vs. Barao 2 on July 25 in Chicago, in a fight that has the potential to make her claim for a crack at the women’s bantamweight title an undeniable one. 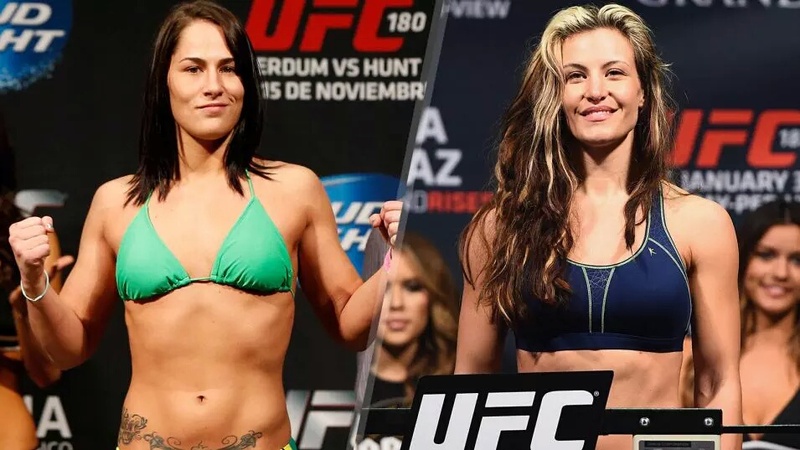 All she needs to do is derail a fighter who has already contended for the belt she’s attempting to hunt down, and Eye believes Tate and her decorated credentials is the best possible matchup the UFC could have given her. That said, Eye also feels the name recognition and visibility Tate carries has caused fans to discount and disregard the dangers she brings into the Octagon. This scenario has Eye fired up to prove the doubters wrong, and make a clear-cut case that she should be the next person to fight for the women’s 135-pound strap. 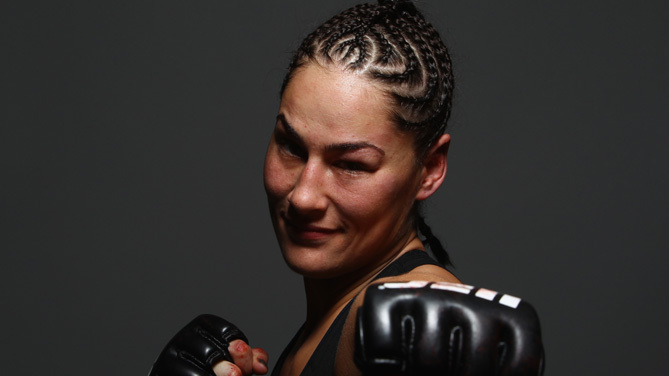 “I think a win in this fight absolutely makes my case for a title shot, but at the same time, Miesha has shown so much tenacity inside that cage,” Eye said. “That hasn’t necessarily won her all the fights – she’s lost a few against top-level people she should have beat – and I think I’m going to be able to capitalize on those things that stopped her from winning those previous fights. I also think I’m going into this fight being counted out by the fans because Miesha has been around in their minds longer, when her and I started training in the same year. We started in MMA at the same time, but I took a different path than she did. In addition to the high stakes that are hovering above her tilt with the former Strikeforce champion, Eye has also found motivation in the fight taking place in “The Windy City.” While the shores of Lake Erie and the backdrop of Rust Belt industry are hundreds of miles away from where she will compete, Eye is a product of the Midwest through and through. Granted, there are very few visual similarities between the two regional staples, but there is a common bond shared between those who hail from places where luxuries are few and far between the way life is in America’s “Heartland.” She is excited to not only be competing in front of a Midwestern crown on July 25, but doing so in one where her work ethic and hard-nosed moxie can and will be appreciated. “I couldn’t be any happier that the fight is taking place in Chicago,” Eye said. “I’m so excited about it. The Midwest is my roots – where I come from – and those are the fans who have been there for me my entire career. I’m thrilled to be fighting in my neck of the woods and I think she is going to be quite surprised with the heat that we bring when we come there. As her public career as a professional mixed martial artist is finally starts to find some traction at the highest level of the sport, Eye has also taken strides in her life beyond the Octagon as well. Although she’s quick to admit she’s played a part in some of her past struggles, what matters the most is how one picks themselves up after being dusted by tough times, and gets back after chasing happiness and peace of mind. Through trials and tribulations, Eye has located a calm beyond fighting that has become easier and easier for her to find, but make no mistake about it, when the Octagon door closes, the tenacious contender will be ready to go. And she’ll do it because she knows the best of what life has to offer is waiting on the other side of this fight. There has to be something more because that’s what she’s been fighting for. Eye wants everything she believes is coming to her, and she knows defeating Tate will be the next requirement on her mission to the top. “There is so much in my life that I wonder sometimes if that is the reason fighting chose me more than I chose it, because it’s the only thing I know how to do,” Eye said. “I’ve had emotional and physical adversities. I’ve had family adversity, and right now, I think things are finally smoothing out for me. I feel like I’m a grown woman now. I’m 28 and I see things much differently than I did before. Life is starting to treat me differently because I’ve approached it differently. I’ve overcome everything I’ve been faced with, and when it comes to a fight with Miesha Tate or any other fighter in my division, this is what I’ve waited my whole life for. 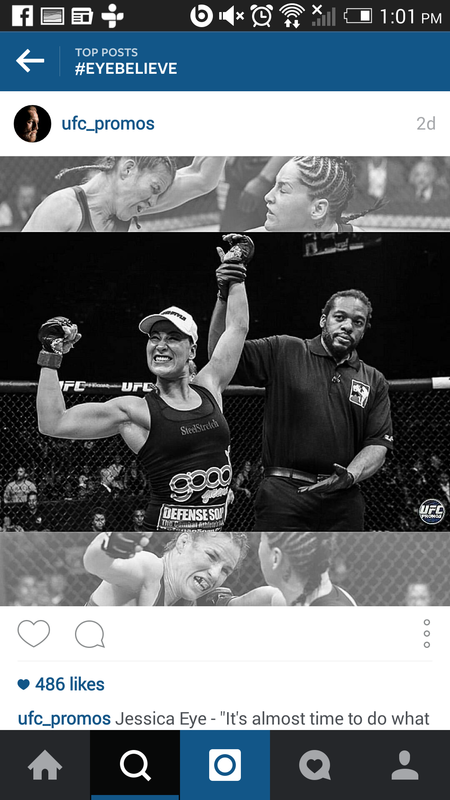 This entry was posted in MMA and tagged #CLETILIDIE, #Cupcake, #DillashaBarao2, #EyeBelieve, #OhioAgainstTheWorld, #StraightOuttaCleveland, #UFCChicago, Cleveland Ohio, Independence, Jessica Evil Eye, Miesha Tate, MMAHellYeah, OH, Parma, Renan Barao, StrongStyleBrasa, TJ Dillashaw on 07/23/2015 by withanohiobias.